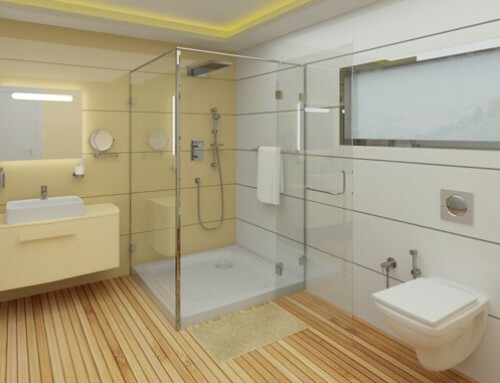 In our previous article, we saw how much will a home owner spend on bathroom repair work. 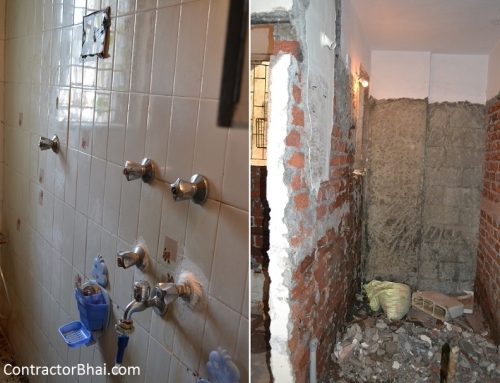 In this article we will see how home owner can get his/her bathroom repair work done in an economic way. We will discuss where and how can a home owners save, especially for those with constrained budget. Firstly I would suggest home owners to plan the tilling i.e. on which walls and what height does he want tile work to be done. Instead of flaking entire wall, we would suggest them to get flaking done where tile work is planned. Rest wall could only have cementing and plastering done. Instead of 55/- per piece for side wall, home owners can choose for simpler tiles that would cost around 42/- per piece. 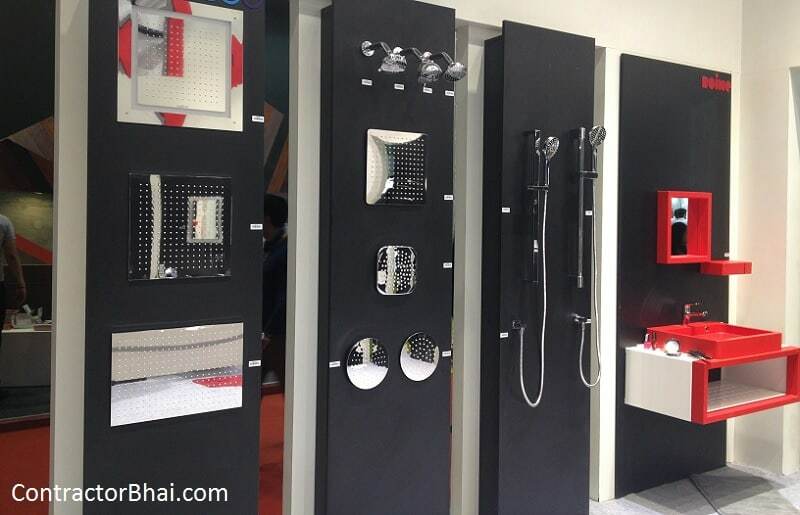 Instead of expensive diverter and shower panel, home owners can opt for wall mixer. There are quite trendy and smart wall mixers easily available. Home owners can save on WC by buy cheaper one i.e. 2,500/- WC instead of a 4,500/- one. 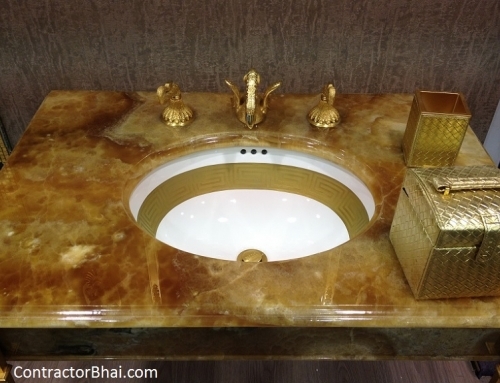 Similarly for wash basin home owners can buy a 1,000/- one instead of a costlier one. For bathroom accessories too, like soap holder, hooks, etc. home owners can buy a comparatively low riced ones rather than branded Jaguar company products. Home owners can save on pipe expensive by not changing the old pipes and system. But we usually suggest home owners to change old pipes and pipe fittings. 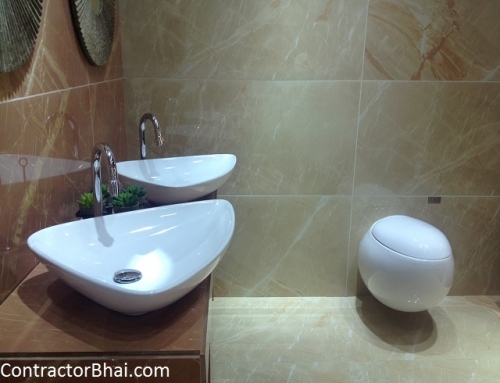 Usually GI pipes are used for bathroom plumbing purpose. Over a period of time, GI pipes rust and need to be changed. Bathrooms usually need repair work after 10-12 years and by then pipes also need to be changed. We therefore wouldn’t suggest home owners to avoid any pipe repair work. To sum it up, home owners can opt for buying similar looking cheaper bathroom fittings and accessories rather than expensive ones. 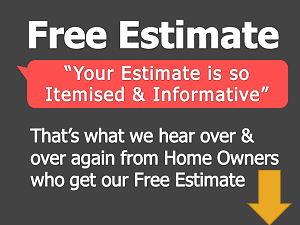 Home owners can feel free to contact our contractorbhai.com team for further assistance on the same.